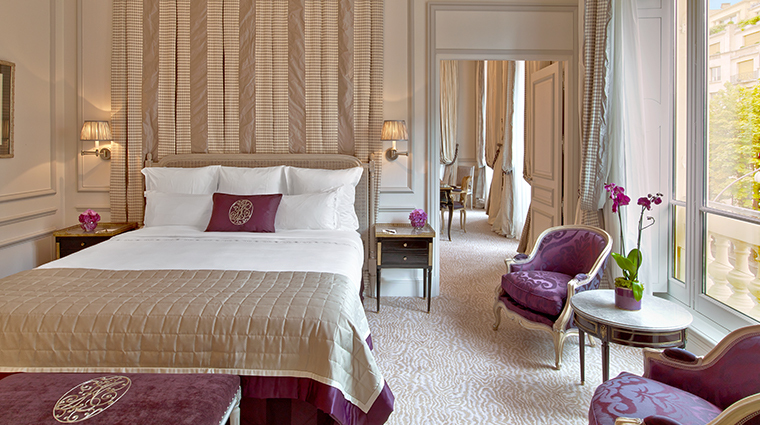 While it debuted in 1913, Hôtel Plaza Athénée still defines of Parisian chic. 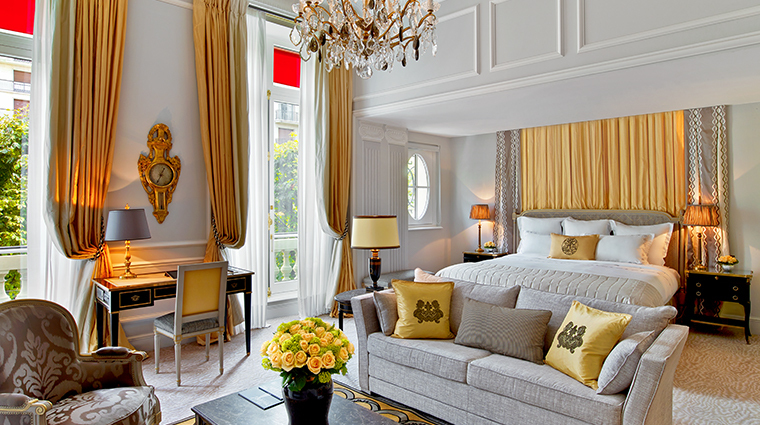 The Athénée resides on Paris’ most favorite fashion street, France’s fantastic chef Alain Ducasse watches over its five restaurants and the hotel had a 2014 facelift that made it even better. Royals (Grace Kelly), fashion stars (Christian Dior — the Dior connection runs so deep that the hotel offers a Dior Institut spa with treatments inspired by the designer — Rudolph Valentino), actors (Elizabeth Taylor, Johnny Depp), singers (Josephine Baker, Rihanna) and even spies (Mata Hari was arrested there) have called this elegant icon their Paris address. 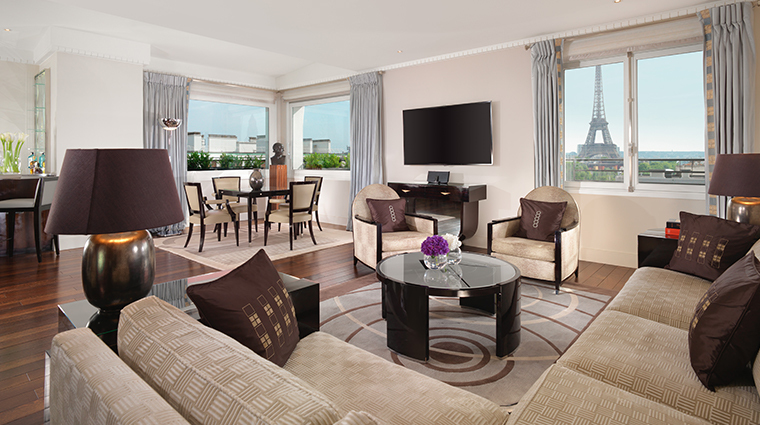 Along with its undeniable stylish verve, the Athénée is known for its attention to detail, from its incredible view of the Eiffel Tower in many of the rooms to talented pastry chef Christophe Michalak’s tiny, delicious bonbons. 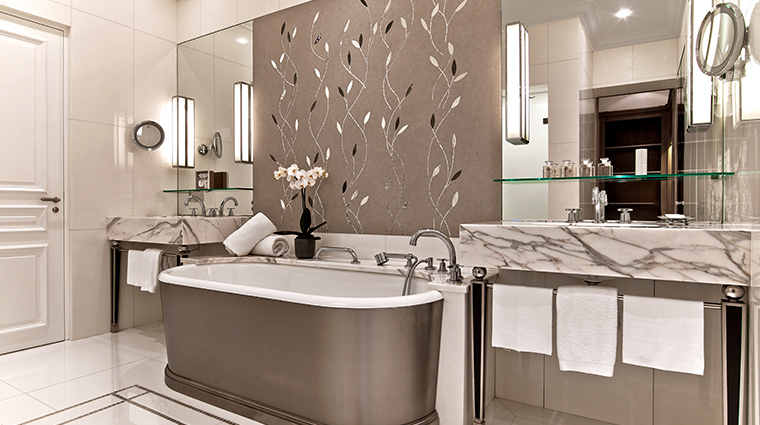 The small touches make your stay feel special. 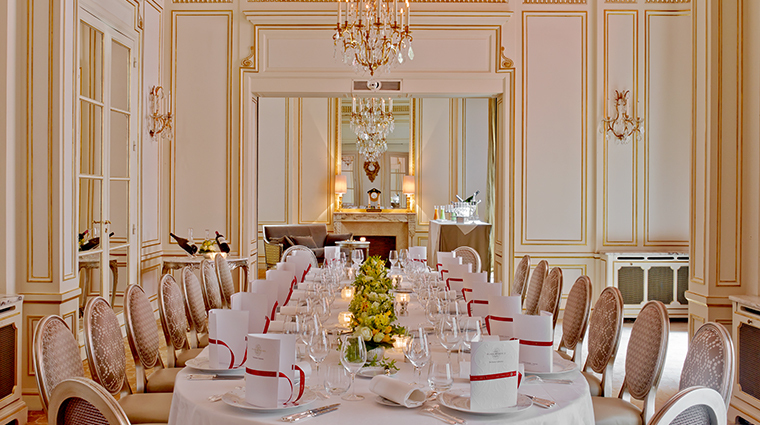 Don’t miss a chance to dine at the spectacular Alain Ducasse au Plaza Athénée. Order the Atlantic sea bass cooked in the ikejime method (a Japanese technique of more humanely spearing fish), young leeks, black olives, vegetables from château de Versailles gardens, and lemon from Nice with kombu seaweeds with tarragon. Indulge in the Dior Institut spa, where every luxurious treatment uses Dior products, and ends with a makeup and perfume application. 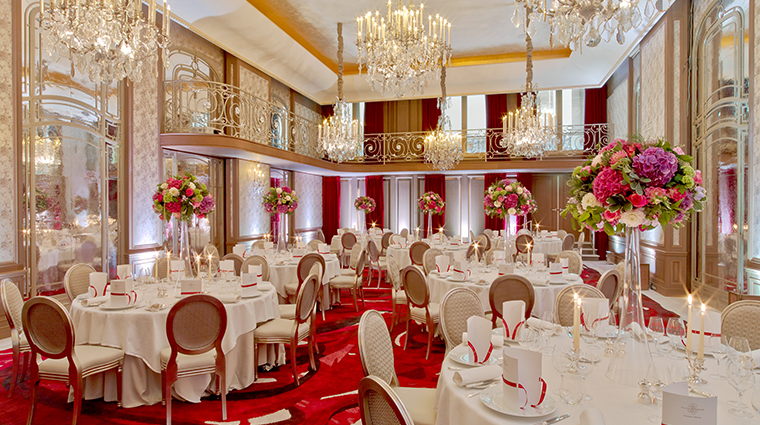 Hôtel Plaza Athénée is on Avenue Montaigne, the most coveted address in the eighth arrondissement and the best area for haute retail therapy. 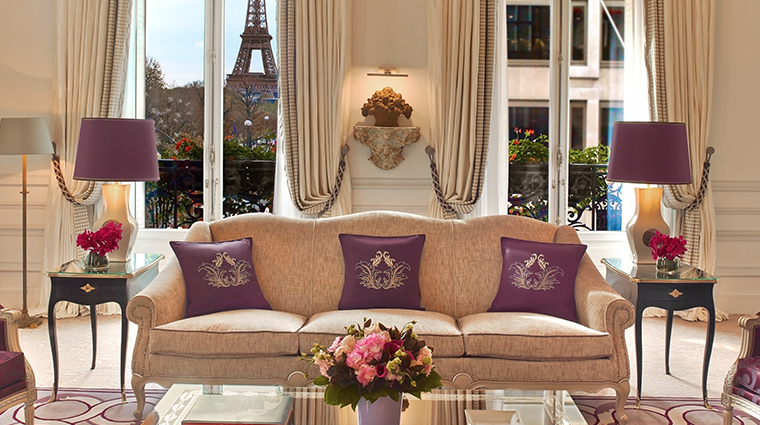 Chanel, Celine, Louis Vuitton and many more are located on the fashion boulevard that meets the Champs-Élysées. 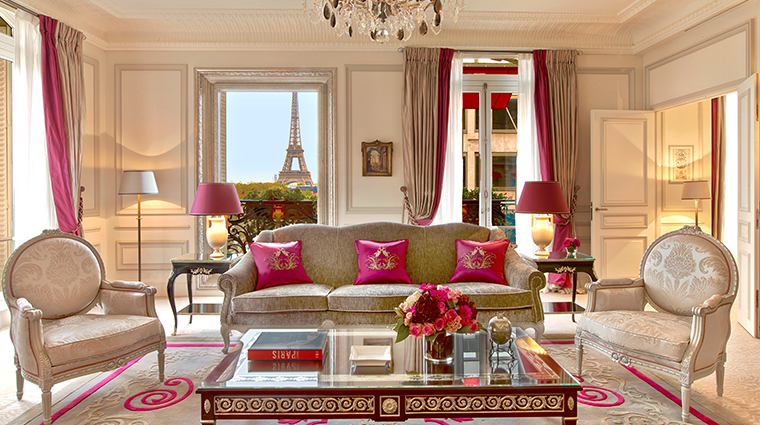 The only thing that rivals the rooms’ opulent Louis XVI-inspired interiors is the dazzling Eiffel Tower views in some of the units. 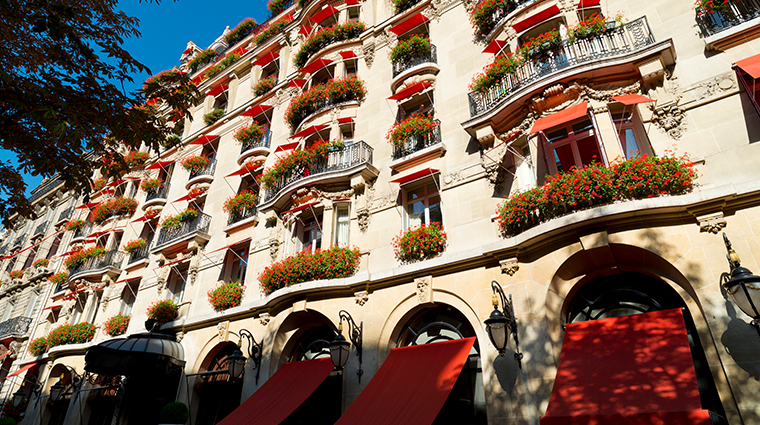 We adore the charming century-old courtyard, surrounded by tall ivy-covered walls with the hotel’s signature red awnings over the windows. In the winter, La Cour Jardin converts into an ice skating rink with illuminated Christmas trees. 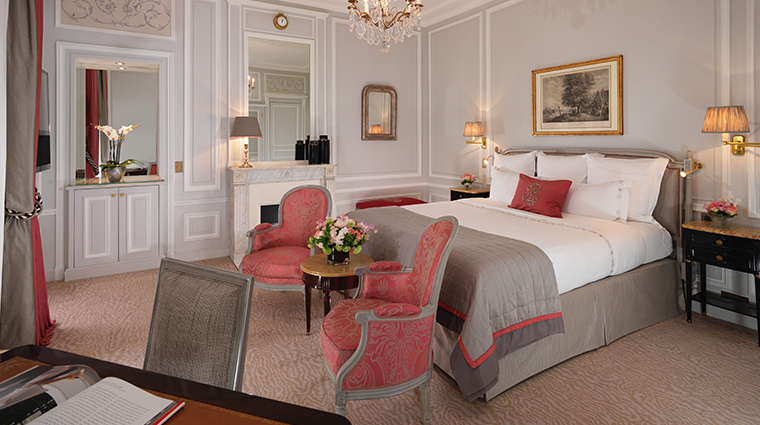 The Paris hotel lends out French Red Castle strollers and baby accessories to families, so you don't have to lug those with you on your travels. Get an upgrade on your typical hotel shoeshine with bespoke shoemaker John Lobb. The specialist service includes cleaning, polishing, buffing and a pair of socks that match the color of your shoes. 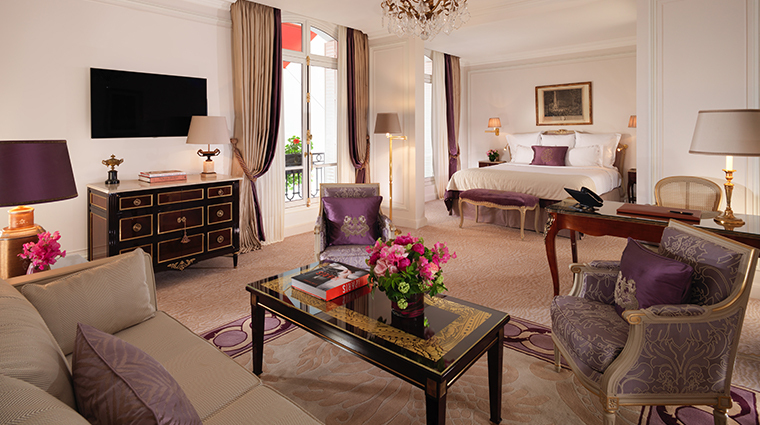 Hôtel Plaza Athénée’s 154 rooms and 54 suites are a haven of resplendent colors, fabrics and views. 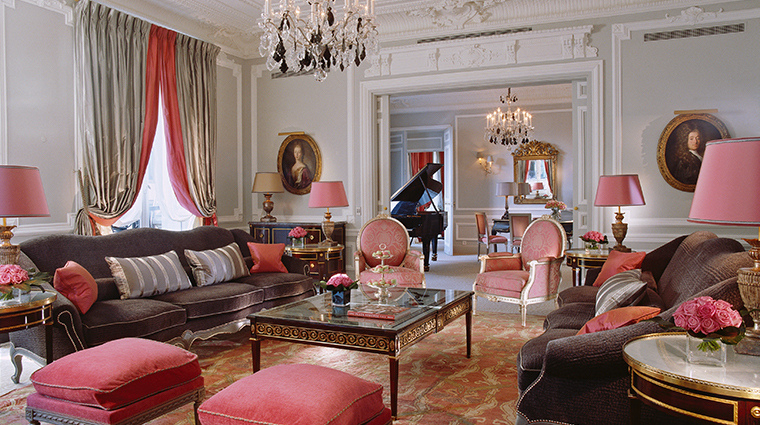 Embroidery, silks, marbles and woods are accented with warm tones of peony, yellow and silver. 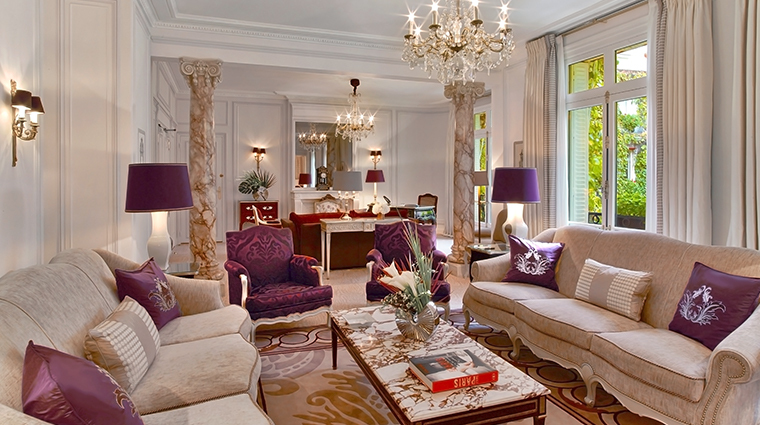 Objets d’art such as antique tables, mirrors and drawings recall 18th-century Parisian luxury. 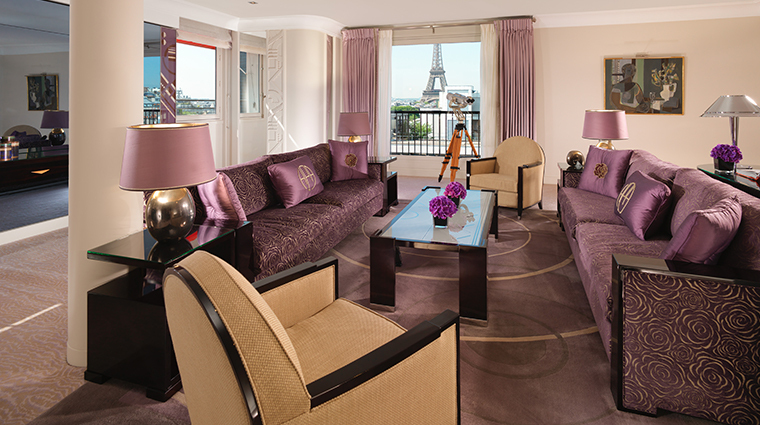 There are 15 rooms with an Eiffel Tower vista, but you will want to stay on the eighth floor’s Suite 878, with its art deco décor, rich jewel tones and unobstructed 180-degree view of the iconic monument. Or try No. 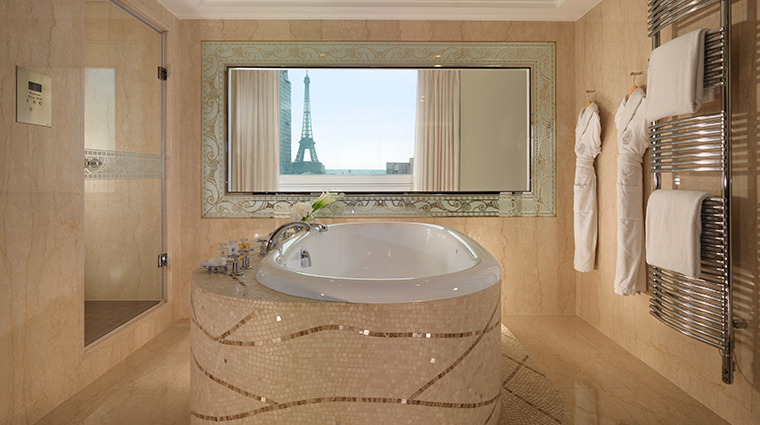 745, a three-bedroom suite on the seventh floor with an Eiffel Tower view from each room, including the bathroom. 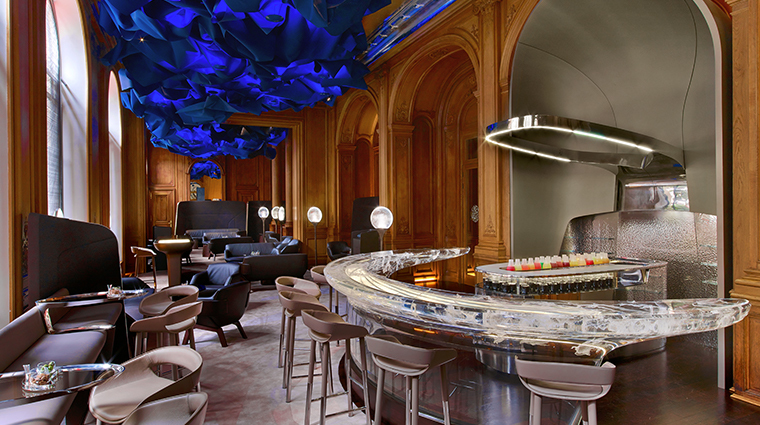 The eponymous Alain Ducasse au Plaza Athénée is Barbarella meets fine dining, a futuristic space of curves with tables made of wood, leather and stainless steel. 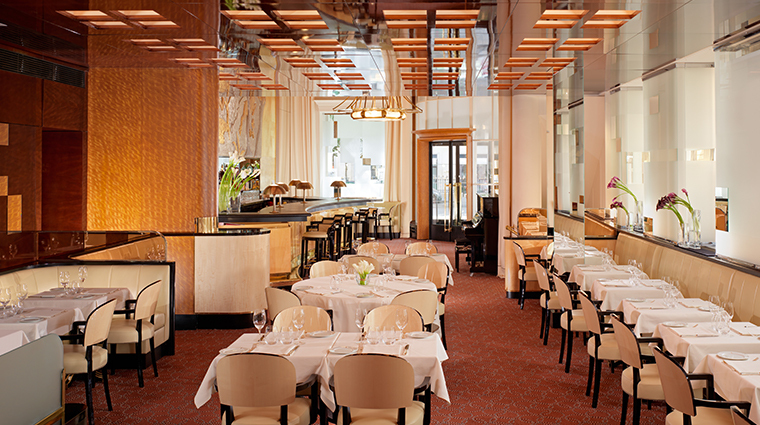 The restaurant’s seasonal menu focuses on fish and vegetables. 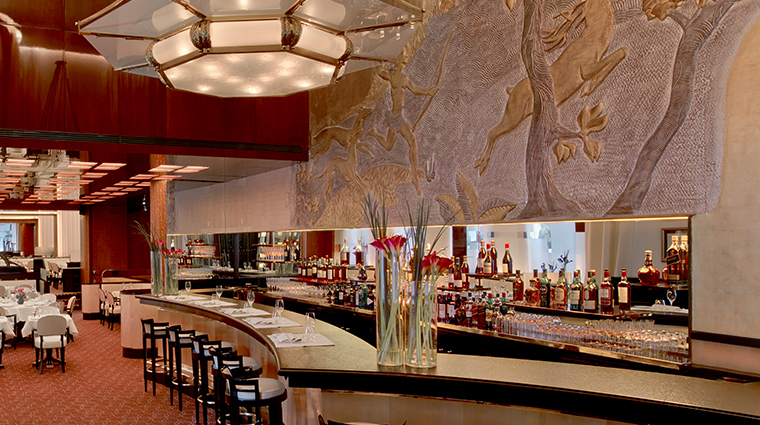 For something less formal, try the art deco Le Relais Plaza, a grill room straight out of the 1930s. 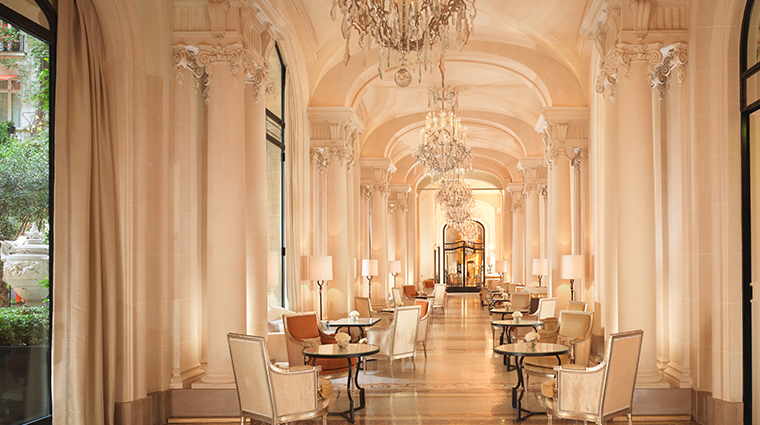 At La Galerie, have French high tea with pastries like meringues tinged with mango and passion fruit and crispy petit fours with pistachio and apricot from Michalak. 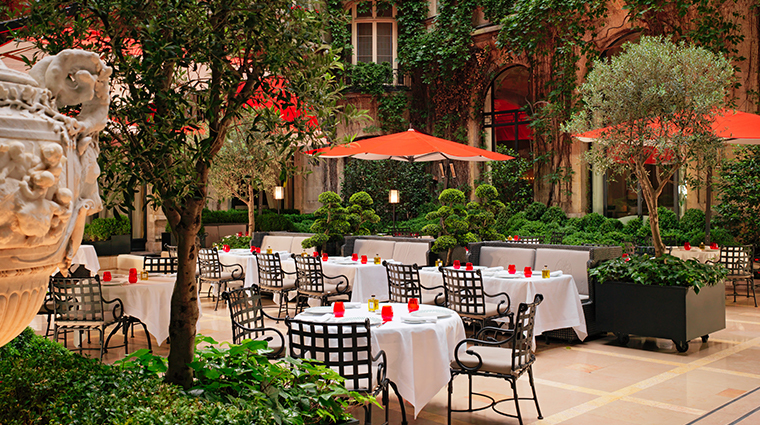 For those who love Paris in the spring, the luxury hotel has garden courtyard La Cour Jardin and street-style café La Terrasse Montaigne for seasonal dining. Be on the lookout for the celebrity favorite Le Bar, a chic cocktail spot, where you can sit behind the glass bar, which looks like sculpted ice, and sip a Rose Royale (made with champagne and fresh raspberries) amid the hip crowd.